We've all fallen into the trap of when in doubt, look busy. I know I certainly have. But when you take a moment and observe the most successful band directors, professors, performers and entrepreneurs in music, they don't have looking busy as their top priority. In fact, it's not anywhere on their list. The best in our business have the ability to constantly prioritize what needs to be done right now. If I have an unpleasant phone call to make, I may procrastinate by cleaning up my inbox. The trap is that cleaning up my inbox might be something that needs to be done, maybe even badly. But if that phone call I'm putting off is the most important thing to take care of, it doesn't matter what I'm using to procrastinate. It needs to get done. One job that makes it incredibly easy to "look busy" is being a band director. That's because they are, in fact, always busy. Have you ever known a band director who seems to be constantly working but always seems to not quite take care of everything when it needs to be taken care of? That is not a symptom of work ethic. 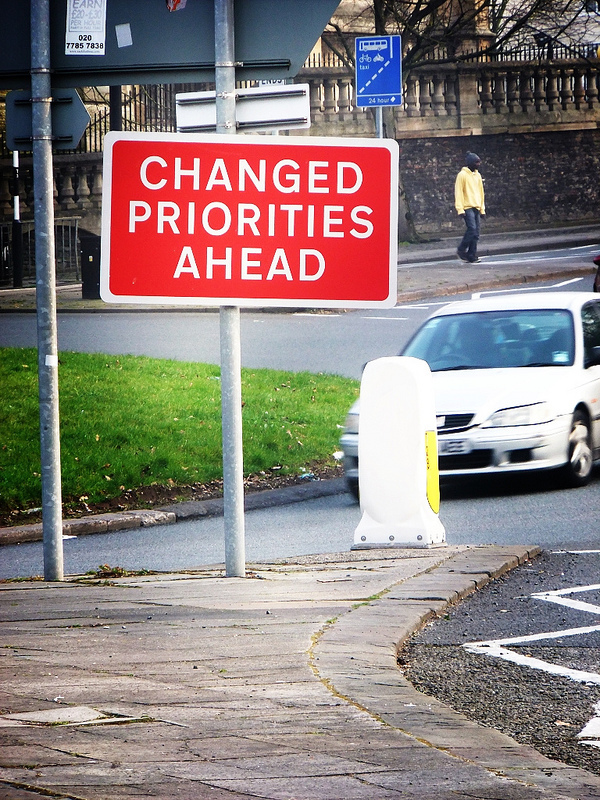 It is a problem with prioritization. I have worked with both colleagues and students who seem to feel entitled to success because they are working hard. (Coincidentally, people who feel this way rarely seem to be working as hard as they think they are but that's for another blog post!) The people who stick around in this business and succeed are the ones who master the art of addressing and changing priorities to get the most out of their time and effort. For anyone just starting out in any aspect of the music business, the earlier you can master the art of prioritization, the better.